380 people ran on the course last used in 2003, and from the comments and pictures on the FRA Forum Thread enjoyed it. Alistair Brownlee won in 39.35, with Olyvia Walwn first lady. Paul's photos from the start, and finish. Thursday 31st December 2009. 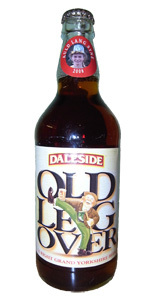 DALESIDE BREWERY AULD LANG SYNE (R). BM. 11.30 a.m. From Penistone Hill Country Park, nr Haworth, Keighley (GR 025364). Entries full: limit 400, no EOD. Teams free. PM/NS. Over 16. The race will be started by Louis Holmes, who will also be judging the fancy dress competition. There is no entry on the day this year, sorry. For the first time this race is affected by a limit on race numbers. The 2008 race had a record 560+ starters; the 2009 limit is 400; so a pre-entry system was reluctantly put in place. Entries opened on 1st November and the limit was reached on 17th November. The entry list is here. There will be no refunds and no transfers (and remember FRA rules require you to run under your own name). All runners must go to Registration at the cricket hut to sign for and collect their own race number. And collect your bottle of specially labelled Daleside beer. No-one is allowed to take anyone else's race number. Don't even think about asking to transfer a race number. No number - no run. Do not jeopardise the race - the race limit is serious, and the race crosses private land with special permission. The race will be monitored: do not put the organisers in the awkward position of having to report illegal runners to the FRA.